Kenneth Noland, Bridge, 1964, notable example of Post-painterly Abstraction selected by Greenberg for the exhibition. 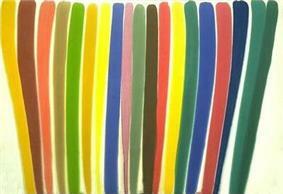 Morris Louis, Where, 252 x 362 cm. magna on canvas, 1960, Hirshhorn Museum and Sculpture Garden. Louis was a prominent artist in the Post-Painterly Abstraction exhibition. ^ Edward Lucie-Smith, Lives of the Great Twentieth Century Artists, New York, Rizzoli, 1986; p. 257. 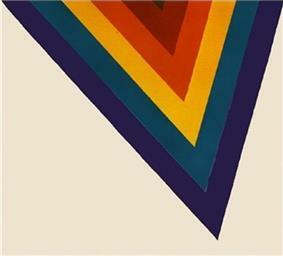 ^ "SBMA: exhibitions > current > Colorscope: Abstract Painting 1960-1979". Sbmuseart.org. Retrieved 2010-08-17.